Ways and Means Committee Chairman Steven Conway, D-8th Ward, expects a number of hearings on a stadium funding bill. Conway is a CPA and plans to analyze the financial costs of the legislation. It’s fair to say last week produced plenty of copy about St. Louis’ proposed riverfront football stadium. There was a $158 million naming rights deal, the approval of Brownfield tax credits and questions about how much the facility will actually cost. What last week didn’t deliver, though, was the introduction of legislation at the Board of Aldermen detailing the city’s share for the $1 billion project. 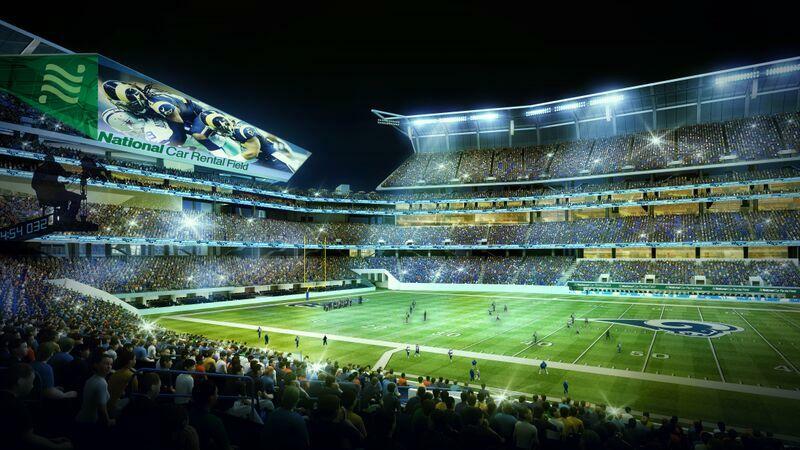 The confusion and delay comes as owners are apparently getting antsier and antsier about the stadium’s funding particulars, even though it’s not clear if St. Louis Rams owner Stan Kroenke has enough support to move his team to the Los Angeles area. 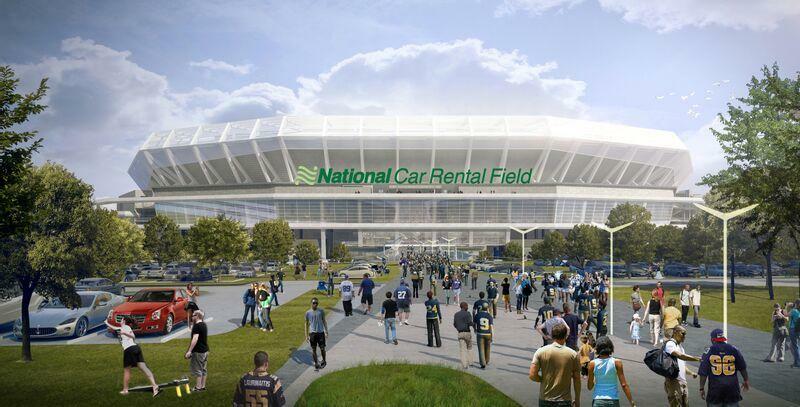 A rendering of National Car Rental Field, the name new for the proposed football stadium on St. Louis' riverfront. But even though aldermen don’t have a bill yet, they’ve pretty much selected a venue for committee hearings. 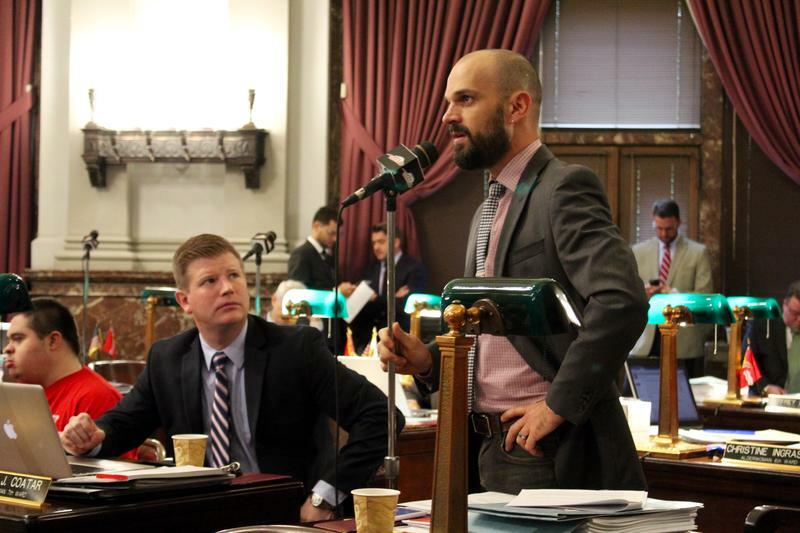 St. Louis Board of Aldermen Lewis Reed said on Friday that he’d probably send the legislation to the Board’s Ways and Means Committee, which is led by Alderman Steven Conway, D-8th Ward. 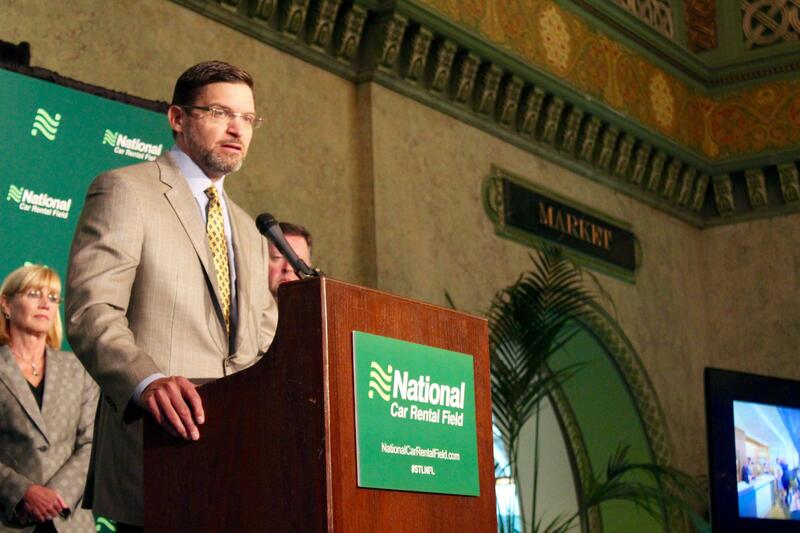 St. Louis Public Radio's Jason Rosenbaum talked with St. Louis Board of Aldermen President Lewis Reed on Friday about the status of stadium funding legislation. But while much of the focus has been on Alderman Antonio French’s threat to gum up the works on the stadium plan without a comprehensive plan to fight crime, it’s clear that trepidation throughout the Board is deeper than just one member. Some are unhappy that a voter-approved ordinance requiring a citywide vote for stadium funding was struck down in court. Others don’t like how St. Louis County doesn’t have to chip in for the new stadium. And then there’s traditional unease about publicly financing sports stadiums, especially when Kroenke can probably build three or four of them with his vast fortune. And many of these stadium skeptics are on the Ways and Means Committee, including French, Alderman Sam Moore, D-4th Ward, Alderman Chris Carter, D-27th Ward, and Alderman Scott Ogilvie, D-24th Ward. 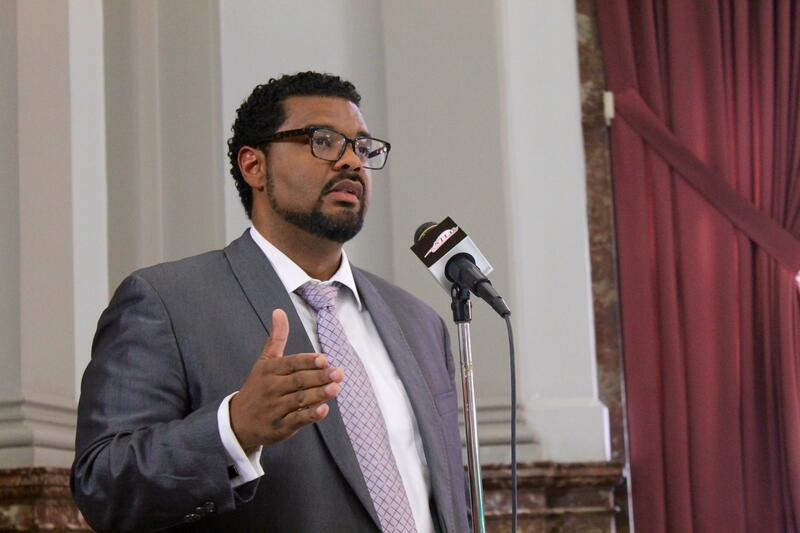 St. Louis Alderman Antonio French, D-21st Ward, has threatened to block the stadium funding bill without a comprehensive strategy to fight crime in St. Louis. And for all the talk about a tight timeline to make decisions on the stadium, French says nobody should expect an instant decision from the Ways and Means Committee. But Reed warned any bill that requires the city to pay more than $6 million a year for the stadium would have “a very difficult to get it passed out of the current Board.” St. Louis City Comptroller Darlene Green sent out a press release on Friday afternoon contending stadium backers are effectively asking the city to absorb what would have been the county's share of the stadium. 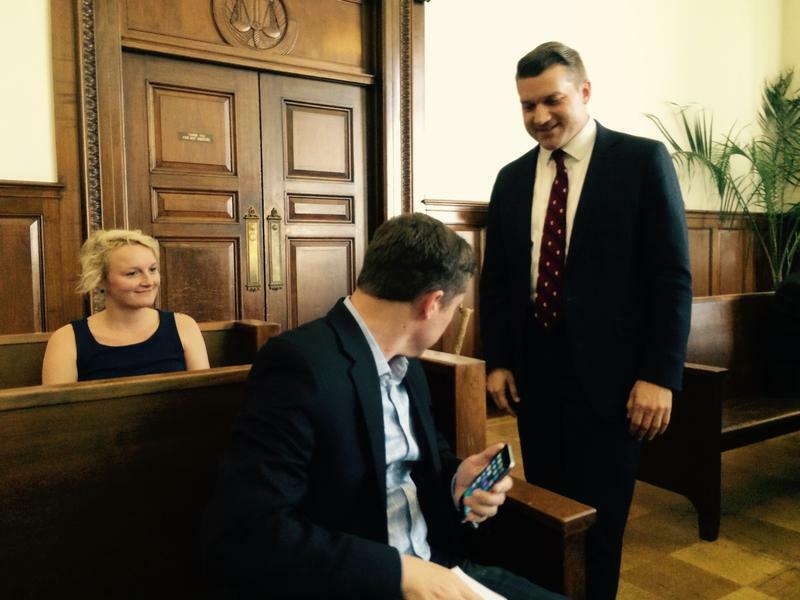 So what does Peacock think of the machinations in St. Louis City Hall? Dave Peacock speaks at a Wednesday afternoon presser announcing the naming deal. During that press conference, Peacock addressed trepidation from state and local lawmakers about financing the proposed stadium. But the Board isn’t the only potential hazard for the stadium, besides getting a taciturn billionaire to stay in St. Louis. Some state lawmakers, including high-ranking members of the House and Senate Budget Committees, have explicitly stated that they won’t approve payments on stadium bonds if they aren’t first approved by a legislative or public vote. That may present a problem for funding the stadium, especially if it scares away potential bond buyers. 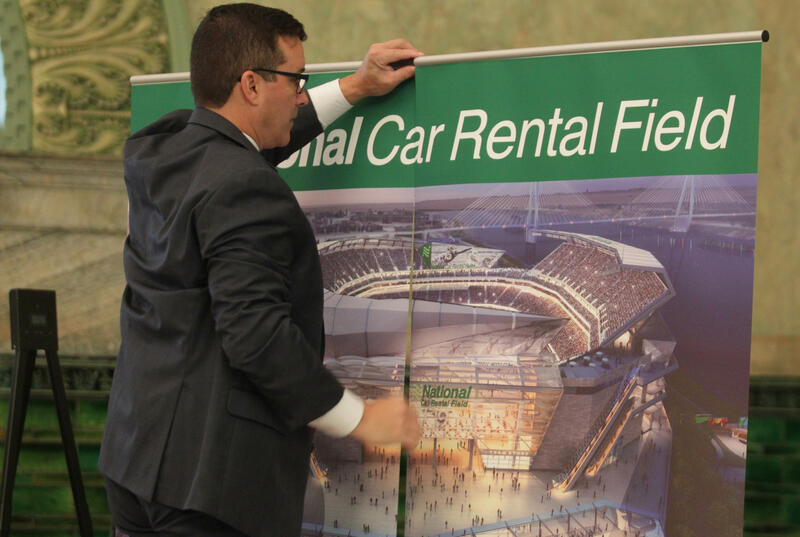 A member of the St. Louis stadium task force, places signage in the room before the announcement that National Car Rental has agreed to pay $158 million over 20 years for naming rights for the proposed NFL stadium in St. Louis on October 7, 2015. “We’re in interesting times as it relates to a timeline that was imposed upon us,” Peacock said. “I’m not blaming the NFL for that, because it was market forces that lead them to progressing on the L.A. situation. And we need to move fast. 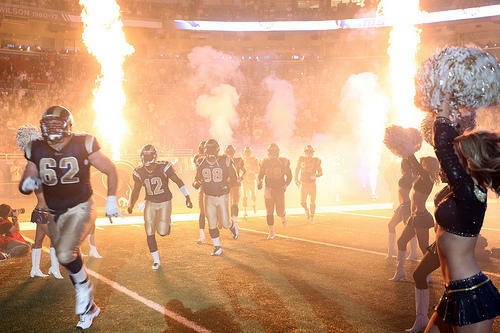 Since St. Louis Rams owner Stan Kroenke announced a deal to build a stadium in Inglewood, California, the future of football in the Gateway City has been murky at best. 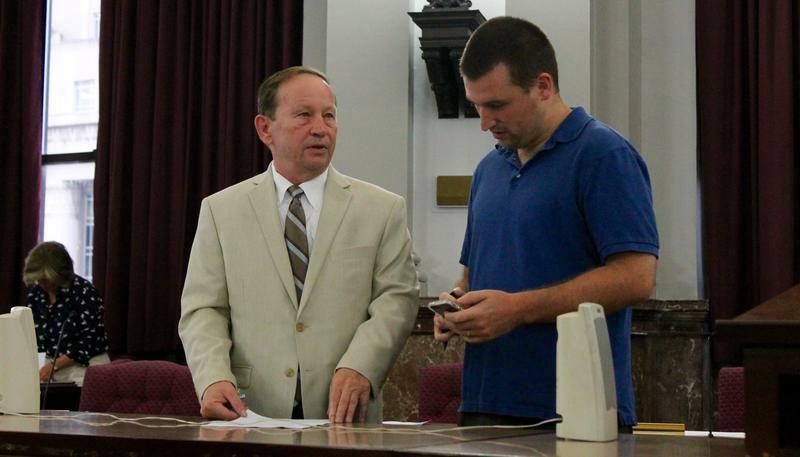 The St. Louis Board of Aldermen exempted sheltered workshops from its new minimum wage law. When the board passed legislation that is to gradually raise the city’s minimum wage to $11 an hour, they didn’t leave out sheltered workshops. Those facilities provide employment opportunities to people with developmental disabilities and often pay less than the minimum wage. On Thursday morning, sisters Debbie and Darlene Ball were sweeping up around the front yard in St. Louis’ Fountain Park area. Several big teddy bears were strapped to a fence at the two-family flat where police shot and killed the pair’s nephew — Mansur Ball-Bey. Debbie Ball lives in the flat where the shooting occurred. 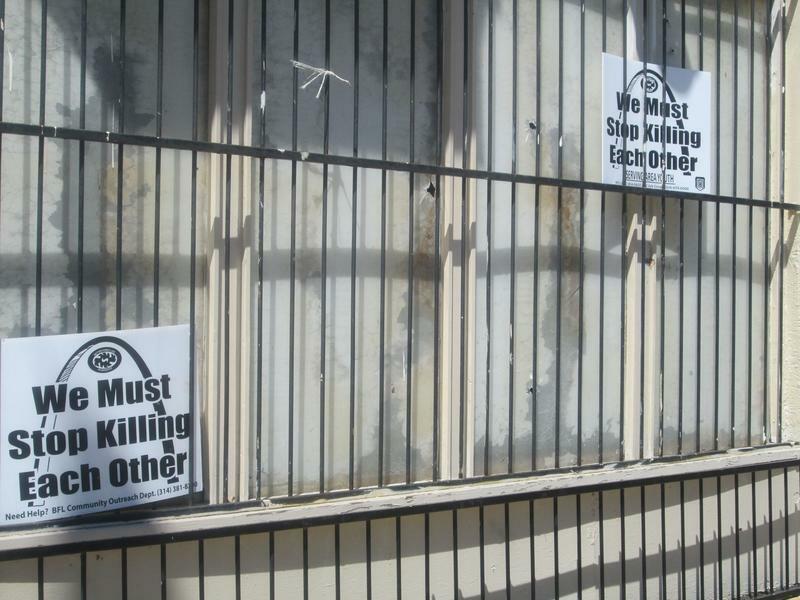 The incident led to tense confrontations between police and residents, the deployment of tear gas and the burning of a car and a vacant home. After months of deliberation and debate, the Ferguson Commission produced roughly 200 initial recommendations — an ambitious output for an entity charged with the job of issuing a report. But Bethany Johnson-Javoism, the Commission's managing director, said the group’s “calls to action” are purposefully aspirational.